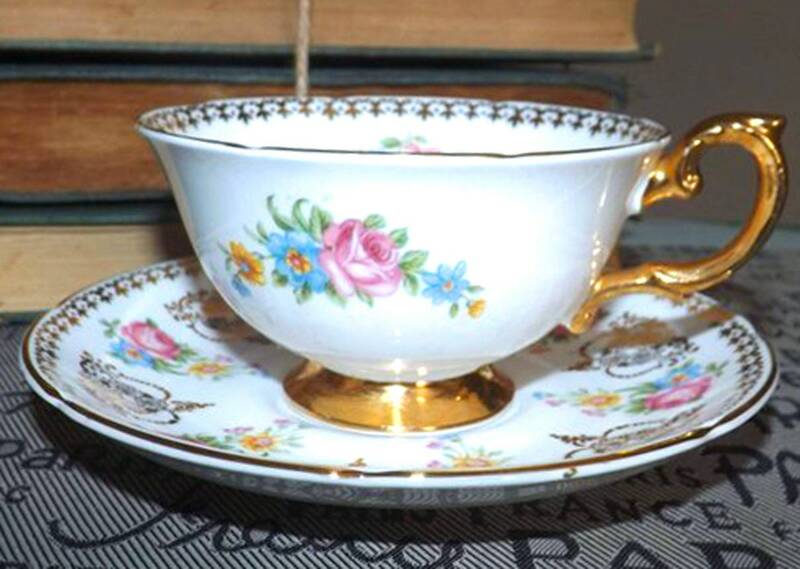 Made in England, this tea set (footed cup with matching saucer) features bouquets of pink and blue flowers set against a ground of pure white with abundant gold accents including a medallion center on cup and saucer and a scalloped, gold edge! Gold decorator's brush strokes to base as well as stamped 8651. In EXCELLENT! condition with NO! chips, nicks, cracks, or fleabites, NO! crazing, NO! gold loss to center medallion, accents or scalloped edge and NO! marks or stains. There are a few LIGHT! scratches to the florals and a few WEE! 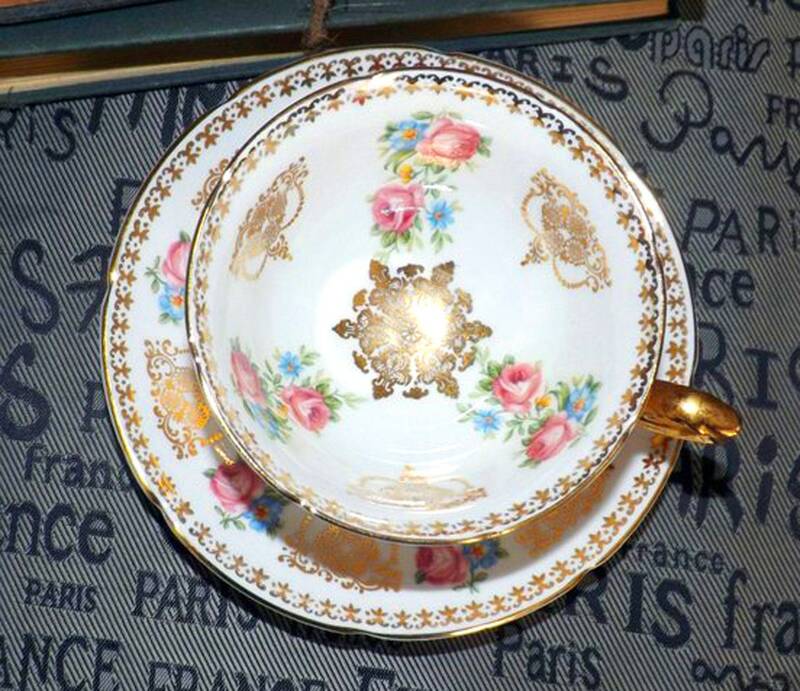 spots of wear to the gold edge (please review the posted photos for a complete visual of the item). 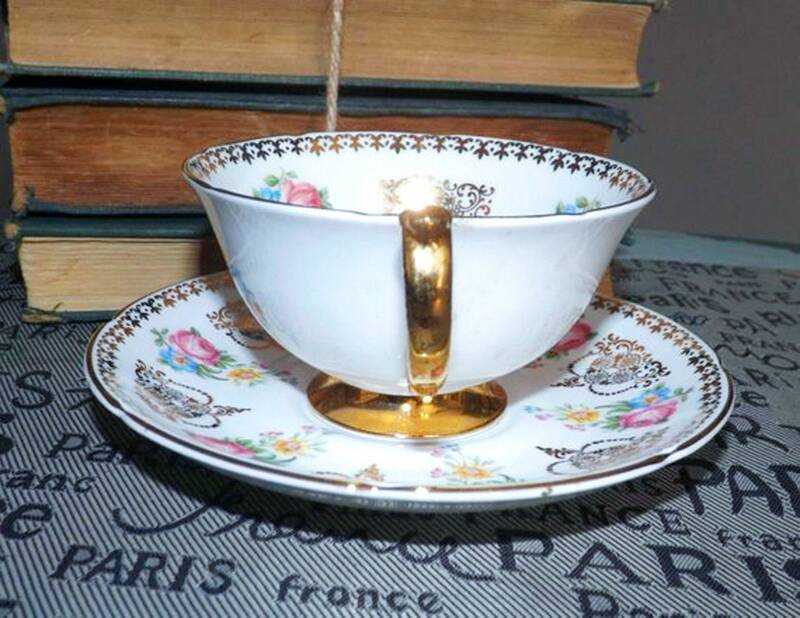 Approximate measurements: footed tea cup stands 2-1/2" with a 4" diameter cup bowl. 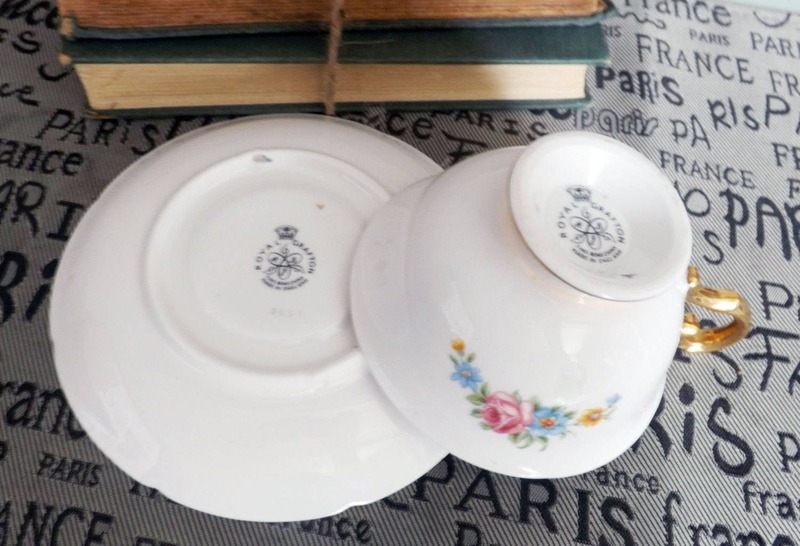 The matching saucer is 5-3/4" in diameter. 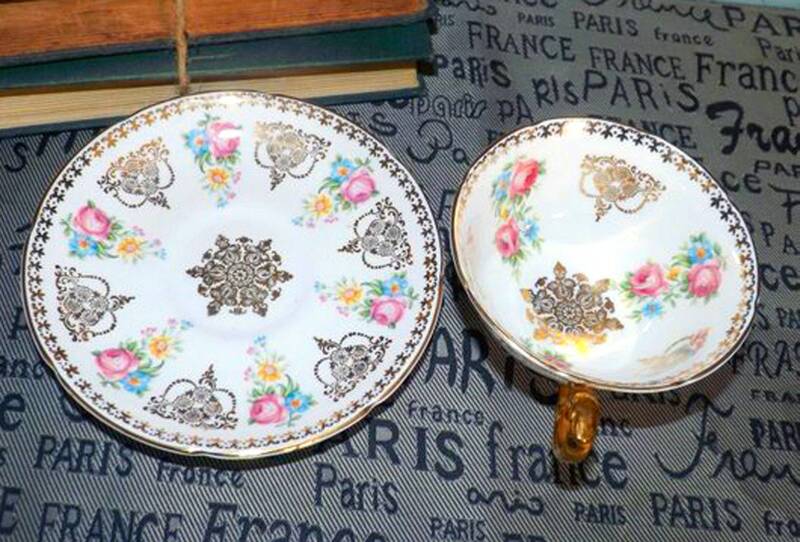 Both pieces have a scalloped, gold edge.